Lets play! Games machines and table sports are available in the common room at Queen Margaret Residences. Winton Drive Flats offer purpose-built accommodation for both undergraduates and postgraduates, studying at the University of Glasgow. The flats are located just a 20-minute walk from the main campus. The building contains 188 single study bedrooms, all furnished with everything you need for student life. The flats also offer large kitchen and dining areas which are fully furnished. Undergraduates and Postgraduates are housed in separate blocks, however this accommodation is not usually offered to first-year undergraduate students. 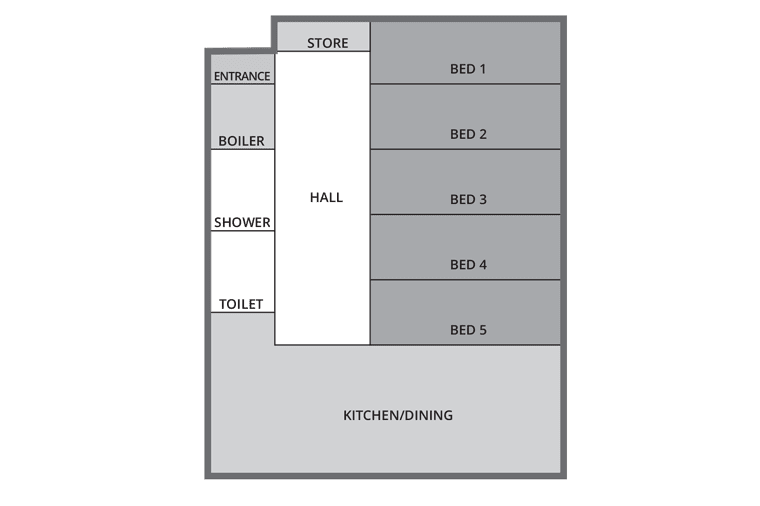 Other features of this property include an on-site laundry, security and caretaking services, free contents insurance and all inclusive bills for hassle free student living. Situated only 20 minutes walk from the University as well as being close to the West End and Botanic Gardens, Winton Drive Flats offers a fantastic base for studying and seeing everything Glasgow has to offer. There are supermarkets on the nearby Byres Road and Maryhill Road, as well as some local independent grocery stores. 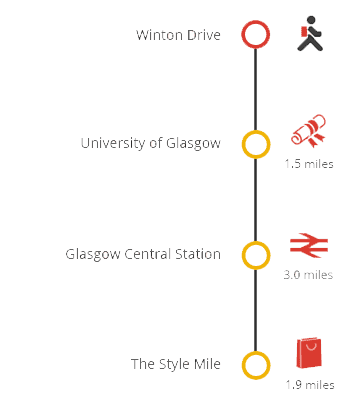 There are also many transport links nearby including main bus routes and the Glasgow subway system. Students can collect their keys from 4pm on the day the contract starts. The reception used is at Queen Margaret Central Services Building and is open from Monday to Friday between 8am and 6pm. All students must provide photo ID upon collection, either their driving licence or passport. Parking is available and cars and motorbikes are parked at the owner’s risk. You will need to register your car or motorbike with reception. Do not block the entrance to the car park. For more information on the UOG’s cancellation policy, please refer to their Sample Tenancy Agreement (PDF 123KB). Winton Drive now benefits from LaundryView which will make doing your laundry on-site even easier. The system, created by Circuit, allows you to go online and check the availability of washers and dryers in your building as well as see when other washes are about to end.